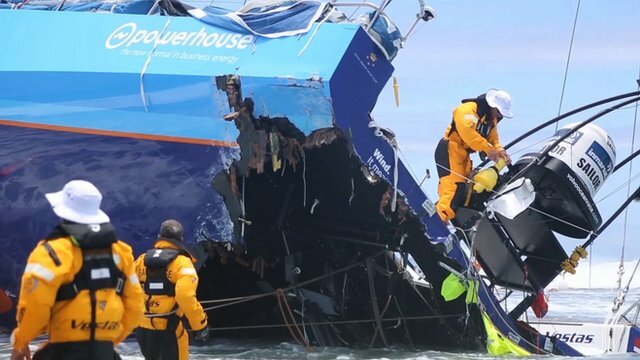 The Volvo Ocean Race 2014-15 is the most balanced of the history and the numbers prove the success of the new unique design boat, the Volvo Ocean 65. After two stages held, three teams share the lead with only four lost points. Another statistic stands out: the winners of each leg cross the finish line close of vices. 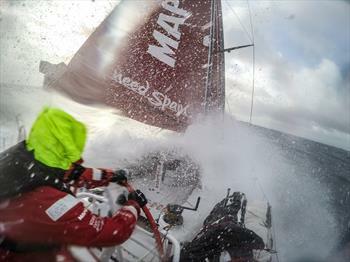 On stage in Spain until the South Africa, Abu Dhabi won the Dongfeng for 12 minutes difference. Last Saturday (13), Team Brunel topped the 16 minute advantage by Dongfeng. “You can’t relax. Any error, the opponent passes, “said Bouwe Bekking, leader of Team Brunel. After the second stage, between Cape Town and Abu Dhabi, the middle part of the leaderboard has the Team Alvimedica, fourthly, MAPFRE, in fifth, and Team SCA, in sixth. The Vestas Wind, that Team ran aground on a sandbank in the Indian Ocean, lost eight points and is in last place. The last boat to arrive in Abu Dhabi was the SCA Team, completing the race this Sunday in 25 days, 6 hours, 23 minutes and 34 seconds. 100% women’s team repeated the sixth leg placement. Aboard the team’s Dutch with Brazilian Carolijn Brouwer heart. With perfect Portuguese and maintained – the athlete lived more than 10 years in Brazil – Carolijn spoke of the difficulties of the step. “The step was pretty exhausting. The winds were quite different than usual in the middle of the race. We ended up making mistakes and we can’t get good rounds to get the boats in front. However, it is a long race and there’s still time to recover,” said Carolijn Brouwer. The teams will now have a little time to get my breath during the Christmas parties. The race place of Abu Dhabi, also called the In-port race, will be held on January 2. The next day, the fleet leaves for the third step, between the UAE and China, proves that have 4,670 nautical miles.